Microbeads are tiny plastic bits that are in beauty and cleaning products. They are valued for their abrasive properties (for instance, exfoliating face washes). But they are so small, that we are incapable of filtering them out of water and they are making it into the ocean. Once in the ocean, they are being digested by the bottom of the food chain and then working their way up, until they reach people again: in the form of the fish we are eating. Microbeads look like food to sea creatures, but are not as easily digestible. Even if the animal is able to pass the microbeads through their system, what remains behind is like poison. Plastic absorbs pollutants like pesticides, PCB’s, and motor oil. In a test with mussels, once the plastic microbeads had passed through the mussel, the pollution remained behind for longer than the study lasted. If you check the ingredients of your products and see: Polyethylene (PE), look out. 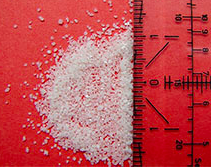 Polyethylene is a plastic that is not easily biodegradable, and is commonly what microbeads are comprised of. 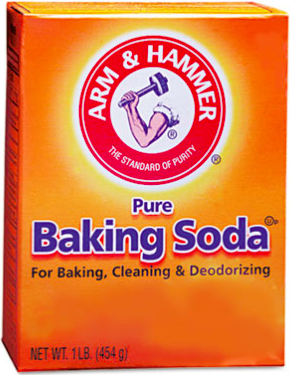 Or, if you’re looking for an alternative, cheap product, try baking soda. Which works as a great exfoliant for your skin, can help scrub pots and pans, works on teeth, and is non toxic to our ocean. Remember, if a product is advertised as an exfoliant or with “beads” of some kind, there’s a good chance it’s a microbead and you should reconsider. happy weekend! use less plastic!